Halloween is almost here! This weekend is your last chance to pull together that last minute costume, prep for your Halloween party, or get those treats to pass out to trick-or-treaters! Here are just a couple of ideas to make this a safe and fun Halloween! 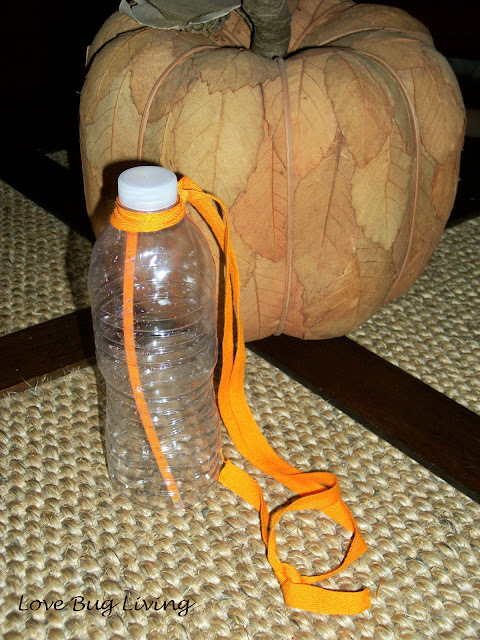 This first idea is a safety lantern for your child to carry with him or her when they are out trick-or-treating. Safety is a big concern for parents on this night. It is dark out. Your child may be in a dark costume. For this reason, you really want to make sure your child is visible to any cars that will be on the roads. Make this quick and easy lantern for your child to carry to help light the way! Simply take an empty water bottle (yay! We are recycling! ), a piece of ribbon, and glow in the dark sticks. Place your glow sticks in the water bottle. Use one or as many as you can get to fit. Replace the lid. Tie your ribbon around the top of your bottle. 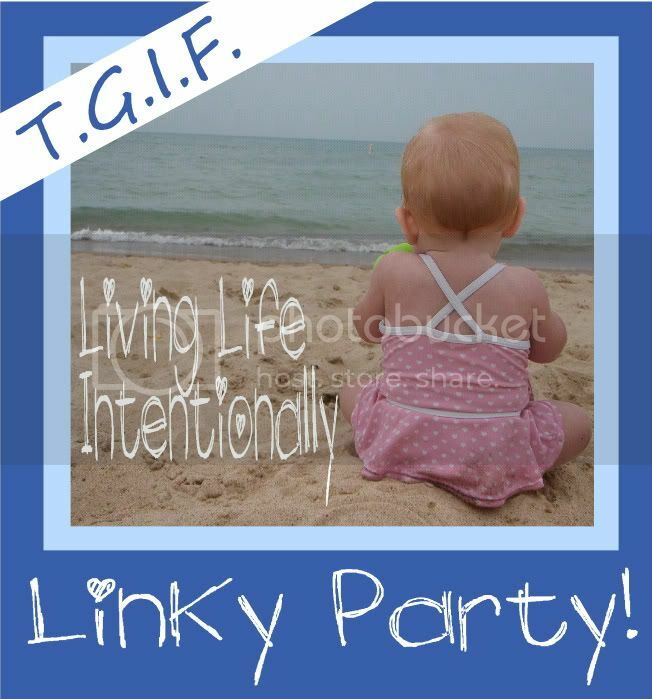 Your little one can wear it as a necklace, carry it like a purse, or make it a short handle and carry it like a lantern. Keep your little trick-or-treater safe! My other idea would be perfect for a Halloween party! 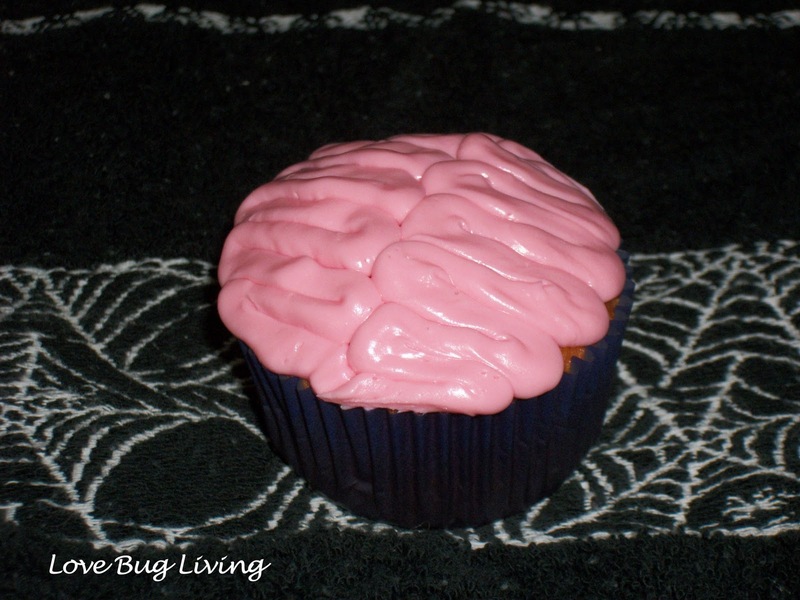 How yummy do brain cupcakes soound?! 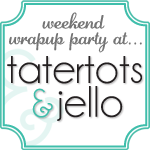 Ok, so maybe not so yummy sounding, but super cute for a party. Super easy too! You will need a batch of baked cupcakes and pink frosting. You can use a large round frosting tip. The tip I had was too small, so I used a ziploc bag and cut off the tip of one corner. Make sure the bag is a sturdy one or the seams will just rip. Spoon your frosting in the bag and simply squeeze it out of the hole in a zig zag pattern to create two sides of a brain. Hope everyone has a great weekend and a Happy Halloween! The brain cupcake looks good enough to eat =-) Whta fun ideas & thanks for sharing at TGIF Linky Party!! I can't wait to see what you link up next week!! !